Included here are all pictures of monitors, both river-going and sea-going, and gunboats. These pictures are published for pleasure/information/research purposes only and are not for sale or copy under any circumstances. Information in captions has been researched as thoroughly as possible but it accuracy cannot be guaranteed. 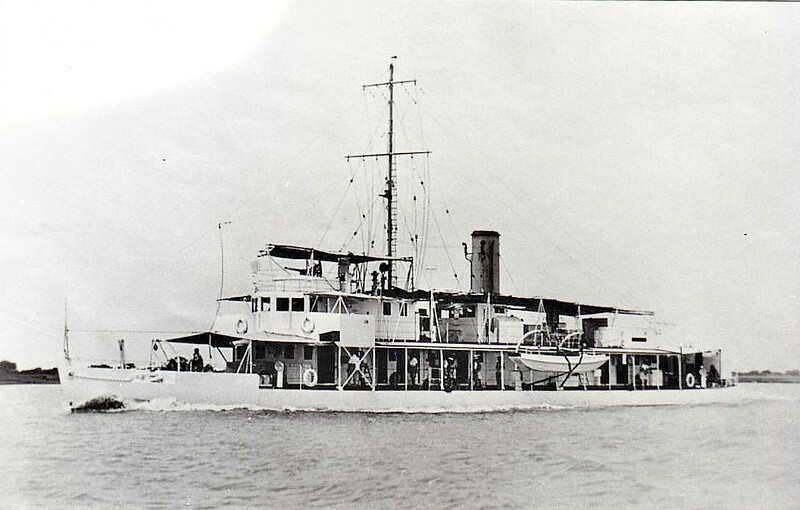 1933 to 1942 - SANDPIPER (T41) - Heron Class River Gunboat - 85 tons - 48.7 x 9.3 - 1933 Thornycroft & Co., Southampton - 1x3.7in., 1x6pdr - 1933 disassembled on completion and shipped to Hong Kong, 1934 reassembled, Yangtze Flotilla, 01/42 to Nationalist China as gift, renamed YING HAO, 1970 decommissioned and broken up.